Just the thing for a high technology pyramid expedition. 9cm X 12cm was a metric size. Which rules out American or British. 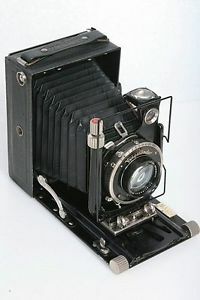 All metal folding field camera, 135mm Skopar lens set in a Compur shutter. glass plate film holders. 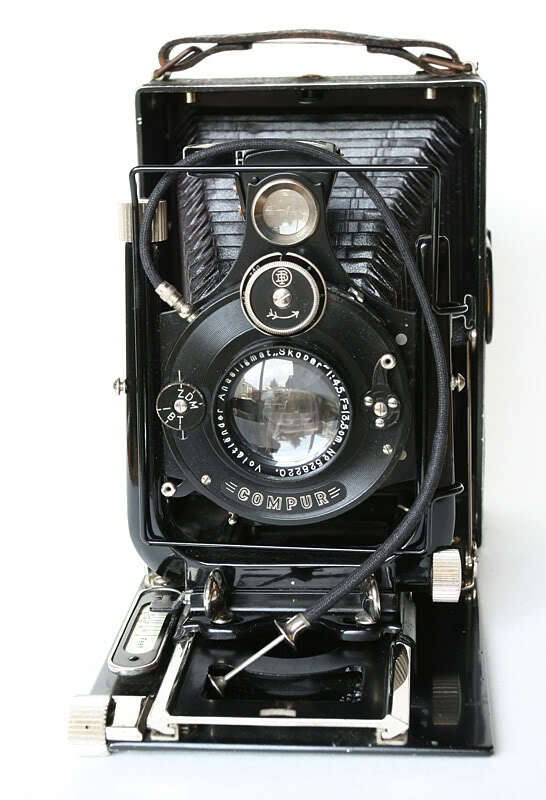 Flash sync was obtained by opening the shutter in total darkness, the flash was fired, shutter was then closed. Two slight variations from about that time. Edited 1 time(s). Last edit at 18-Aug-17 20:30 by Jon Ellison.